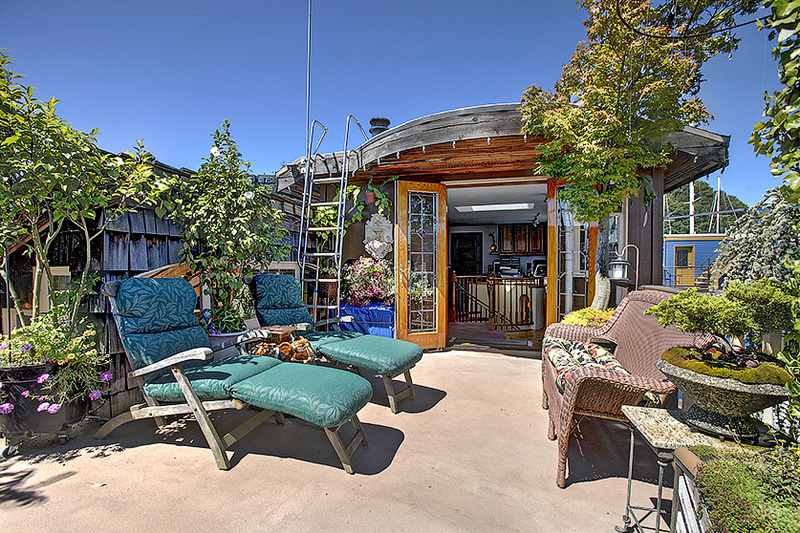 Molly and I just listed this really unique and spectacular Seattle floating home in Westlake. If you have been looking at Seattle houseboats, then you might want to jump on this one right away. It is filled with exciting and interesting spaces at every corner and promises to make you fall in love. Featured on the Seattle Floating Homes Tour, this home has been obviously adored by the current owners! Thoughtful care in every detail as it has evolved over their 30+ years of prideful ownership: Stainless & granite in kitchen, outdoor spaces, an abundance of storage everywhere, one of a kind stained glass, portholes, work shop, green house, & an actual hot tub in the bathroom make you feel like you have stepped into another world! One of the largest floats on lake + moorage for a 40 ft boat! Molly and I have four Seattle floating homes in escrow right now and there are a few others beyond that which are pending in the MLS. The inventory has depleted itself again so bringing this gorgeous Seattle houseboat on is really exciting for us! Welcome to Life Afloat In Seattle ™ on the extremely desirable and most southern dock in Eastlake! This adorable two bedroom floating home has a wrap around deck and wide channel views. Open floor plan with beautiful and bright lighted spaces allows for comfortable living and easy entertaining in this great community. Kitchen is updated and has heated floors, new carpet, paint, and lots of great details. Own your own slip and boat moorage possible with community approval. Pet friendly dock. 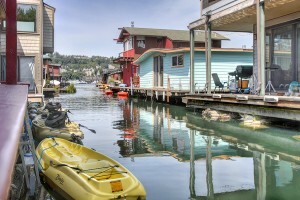 Your Opportunity To Tour And Live In This Beautiful Seattle Floating Home!